Born just two years after the end of the American Civil War, Frank Lloyd Wright (1867-1959) was witness to the extraordinary changes that swept the world from the leisurely pace of the nineteenth-century horse and carriage to the remarkable speed of the twentieth-century rocket ship. Unlike many of his contemporaries, who accepted such changes with reluctance, Wright welcomed and embraced the social and technological changes made possible by the Industrial Revolution and enthusiastically initiated his own architectural revolution. Inspired by the democratic spirit of America and the opportunities it afforded, he set out to design buildings worthy of such a democracy. Dismissing the masquerade of imported, historic European styles most Americans favored, his goal was to create an architecture that addressed the individual physical, social, and spiritual needs of the modern American citizen. During a lifetime that covered nearly a century, Wright took full advantage of the material opportunities presented by the unprecedented scientific and technological advances of the twentieth century without losing the nineteenth-century spiritual and romantic values with which he had grown up. In the process, he transformed the way we live. Wright himself grew up close to the land and in touch with its creative processes and it gave him constant inspiration for his architecture. He believed architecture must stand as a unified whole, grow from and be a blessing to the landscape, all parts relating and contributing to the final unity, whether furnishings, plantings, or works of art. To materially realize such a result, he created environments of carefully composed plans and elevations based on a consistent geometric grammar, while skillfully implementing the integration of the building with the site through the compatibility of materials, form, and method of construction. Through simplification of form, line, and color, and through the “rhythmic play of parts, the poise and balance, the respect the forms pay to the materials, and the repose these qualities attain to,” Wright created plastic, fluent, and coherent spaces that complement the changing physical and spiritual lives of the people who live in them. In 1991, the American Institute of Architects named Frank Lloyd Wright the greatest American architect of all time and Architectural Record published a list of the one hundred most important buildings of the previous century that included twelve Wright structures. Twenty-five Wright projects (including the recently named Florida Southern College campus) have been designated National Historic Landmarks, and ten have been named to the tentative World Heritage Site list. Such recognition—in addition to the international honors he received during his lifetime, the dozens of major exhibitions that have been mounted, and the multitude of books and articles that have been written about his life and work—confirms Wright’s critical contribution to architectural history and the architectural profession at the same time that we draw upon the same legacy to find direction for the future. 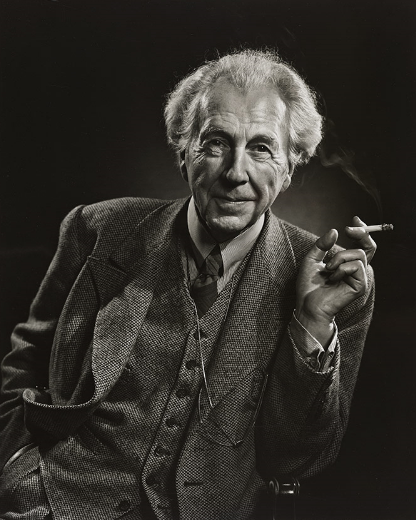 Frank Lloyd Wright (1867-1959) was born in Richland Center, Wisconsin, on June 8, 1867, the son of William Carey Wright, a preacher and a musician, and Anna Lloyd Jones, a teacher whose large Welsh family had settled the valley area near Spring Green, Wisconsin. His early childhood was nomadic as his father traveled from one ministry position to another in Rhode Island, Iowa, and Massachusetts, before settling in Madison, Wisconsin in 1878. Wright’s parents divorced in 1885, making already difficult financial circumstances even more challenging. To help support the family, eighteen-year-old Frank Lloyd Wright worked for the dean of the University of Wisconsin’s department of engineering while also studying at the university. But he wanted to be an architect and in 1887 he left Madison for Chicago, where he found work with two different firms before being hired by the prestigious partnership of Adler and Sullivan, working directly under Louis Sullivan for six years. In 1889, at age twenty-two, Wright married Catherine Lee Tobin. Anxious to build his own home, he negotiated a five-year contract with Sullivan in exchange for the loan of the necessary money. He purchased a wooded corner lot in the Chicago suburb of Oak Park and built his first house, a modest residence reminiscent of the East Coast shingle style with its prominent roof gable, but reflecting Wright’s ingenuity as he experimented with geometric shapes and volumes in the studio and playroom he later added for his ever-growing family of six children. Remembered by the children as a lively household, filled with beautiful things Wright found it hard to go without, it was not long before escalating expenses tempted him into accepting independent residential commissions. Although he did these on his own time, when Sullivan became aware of them in 1893, he charged Wright with breach of contract. It is not clear whether Wright quit or was fired, but his departure was definitely acrimonious, creating a rift between the two men that was not repaired for nearly two decades. The split, however, presented the opportunity Wright needed to go out on his own. He opened an office and began his quest to design homes that he believed would truly belong on the American prairie. The William H. Winslow House was Wright’s first independent commission. While conservative in comparison to work of a few years later, with its broad sheltering roof and simple elegance, it nonetheless attracted local attention. Determined to create an indigenous American architecture, over the next sixteen years he set the standards for what became known as the Prairie Style. These houses reflected the long, low horizontal prairie on which they sat with low-pitched roofs, deep overhangs, no attics or basements, and generally long rows of casement windows that further emphasized the horizontal theme. Some of Wright’s most important residential works of the time are the Darwin D. Martin House in Buffalo, New York (1903); the Avery Coonley House in Riverside, Illinois (1907); and the Frederick C. Robie House in Chicago (1908). Important public commissions included the Larkin Company Administration Building in Buffalo (1903, demolished 1950) and Unity Temple in Oak Park (1905). Creatively exhausted and emotionally restless, late in 1909 Wright left his family for an extended stay in Europe with Mamah Borthwick Cheney, a client with whom he had been in love for several years. Wright hoped he could escape the weariness and discontent that now governed both his professional and domestic life. During this European hiatus Wright worked on two publications of his work, published by Ernst Wasmuth, one of drawings known as the Wasmuth Portfolio, Ausgeführte Bauten und Entwürfe von Frank Lloyd Wright, and one of photographs, Ausgeführte Bauten, both released in 1911. These publications brought international recognition to his work and greatly influenced other architects. The same year, Wright and Mamah returned to the States and, unwelcome in Chicago social circles, began construction of Taliesin near Spring Green as their home and refuge. There he also resumed his architectural practice and over the next several years received two important public commissions: the first in 1913 for an entertainment center called Midway Gardens in Chicago; the second, in 1916, for the new Imperial Hotel in Tokyo, Japan. In August 1914, Wright’s life with Mamah was tragically closed: while Wright was in Chicago working on Midway Gardens, an insane servant set fire to the living quarters of Taliesin, and murdered Mamah Cheney, her two children, and four others. Emotionally and spiritually devastated by the tragedy, Wright was able to find solace only in work and he began to rebuild Taliesin in Mamah’s memory. Once completed, he then effectively abandoned it for nearly a decade as he pursued major work in Tokyo with the Imperial Hotel (demolished 1968), and in Los Angeles, California, for oil heiress Aline Barnsdall (Hollyhock House and Olive Hill). With few architectural commissions coming his way, Wright turned to writing and lecturing which introduced him to a larger national audience. Two important publications came out in 1932: An Autobiography and The Disappearing City. The first received widespread critical acclaim and would continue to inspire generations of young architects; the second introduced Wright’s scheme for Broadacre City, a utopian vision for decentralization that moved the city into the country. Although it received little serious consideration at the time, it would influence community development in unforeseen ways in the decades to come. At about this same time, Wright and Olgivanna founded an architectural school at Taliesin, the “Taliesin Fellowship,” an apprenticeship program to provide a total learning environment, integrating not only architecture and construction, but also farming, gardening, and cooking, and the study of nature, music, art, and dance. With this larger community to take care of, and Wisconsin winters brutal, the winter of 1934 found the Wrights and the Fellowship in rented quarters in the warmer air of Arizona where they worked on the Broadacre City model, which would debut in Rockefeller Center in 1935. Wright was by this time still considered a great architect, but one whose time had come and gone. In 1936, Wright proved this sentiment wrong as he staged a remarkable comeback with several important commissions, including the S.C. Johnson and Son Company Administration Building in Racine, Wisconsin; Fallingwater, the country house for Edgar Kaufmann in rural Pennsylvania; and the Herbert Jacobs House (the first executed “Usonian” house) in Madison, Wisconsin. At this same time, Wright decided he wanted a more permanent winter residence in Arizona, and he acquired some unwanted acreage of raw, rugged desert in the foothills of the McDowell Mountains in Scottsdale. Here he and the Taliesin Fellowship began the construction of Taliesin West as a winter camp, a bold new endeavor for desert living where he tested design innovations, structural ideas, and building details that responded to the dramatic desert setting. Wright and the Fellowship established migration patterns between Wisconsin and Arizona, which the Frank Lloyd Wright School of Architecture continues to this day. Acknowledging Wright’s stunning reentry into the architectural spotlight, the Museum of Modern Art in New York staged a comprehensive retrospective exhibition that opened in 1940. In June 1943, undeterred by a world at war, Wright received a letter that initiated the most important, and most challenging commission of his late career. Baroness Hilla von Rebay wrote asking him to design a building to house the Solomon R. Guggenheim collection of non-objective paintings. Wright responded enthusiastically, never anticipating the tremendous amount of time and energy this project would consume before its completion sixteen years later. During his seventy-year career, Wright created over 1,100 designs nearly half of which were realized. These included commercial buildings, apartment towers, recreational complexes, museums, religious houses, residences for the wealthy and those of more modest income, furniture, lighting features, textiles, and art glass. In creating what he called an “architecture for democracy,” he redefined our concept of space, offering everyone the opportunity to live and grow in nourishing environments, connected physically and spiritually to the natural world. In 1991, the American Institute of Architects named Wright the greatest American architect of all time and Architectural Record published a list of the one hundred most important buildings of the previous century. Twelve Frank Lloyd Wright buildings appeared in this list, including Fallingwater, the Robie House, the Johnson Administration Building, the Guggenheim, Taliesin, and Taliesin West. In 2000, the A.I.A. 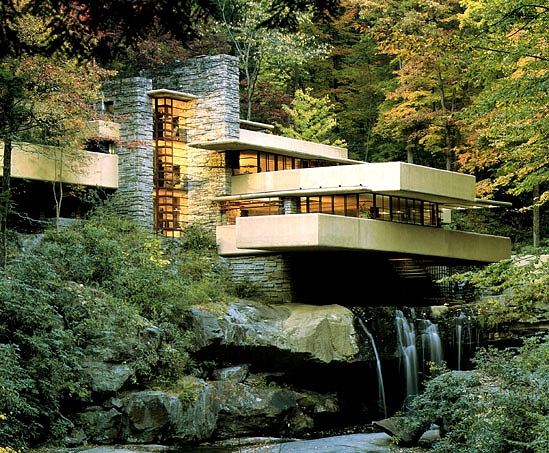 selected their top ten favorite buildings of the twentieth century: Fallingwater topped this list, with the Robie House, the Guggenheim Museum, and the Johnson Administration Building also among the select few. As for the future—the work shall grow more truly simple; more expressive with fewer lines, fewer forms; more articulate with less labor; more plastic; more fluent, although more coherent; more organic. It shall grow not only to fit more perfectly the methods and processes that are called upon to produce it, but shall further find whatever is lovely or of good repute in method or process, and idealize it with the cleanest, most virile stroke I can imagine. As understanding and appreciation of life matures and deepens, this work shall prophesy and idealize the character of the individual it is fashioned to serve more intimately, no matter how inexpensive the result must finally be. It shall become in its atmosphere as pure and elevating in its humble way as the trees and flowers are in their perfectly appointed way, for only so can architecture be worthy its high rank as a fine art, or the architect discharge the obligation he assumes to the public—imposed upon him by the nature of his own profession. Cummings decided to become a poet when he was still a child. Between the ages of eight and twenty-two, he wrote a poem a day, exploring many traditional poetic forms. By the time he was in Harvard in 1916, modern poetry had caught his interest. He began to write avant-garde poems in which conventional punctuation and syntax were ignored in favor of a dynamic use of language. Cummings also experimented with poems as visual objects on the page. These early efforts were included in Eight Harvard Poets, a collection of poems by members of the Harvard Poetry Society. After graduating from Harvard, Cummings spent a month working for a mail order book dealer. He left the job because of the tedium. In April of 1917, with the First World War raging in Europe and the United States not yet involved, he volunteered for the Norton-Harjes Ambulance Service in France. Ambulance work was a popular choice with those who, like Cummings, considered themselves to be pacifists. He was soon stationed on the French-German border with fellow American William Slater Brown, and the two young men became fast friends. To relieve the boredom of their assignment, they inserted veiled and provocative comments into their letters back home, trying to outwit and baffle the French censors. They also befriended soldiers in nearby units. Such activities led in September of 1917 to their being held on suspicion of treason and sent to an internment camp in Normandy for questioning. Cummings and Brown were housed in a large, one-room holding area along with other suspicious foreigners. Only outraged protests from his father finally secured Cummings’ release in December of 1917; Brown was not released until April of the following year. In July of 1918, with the United States entering the war, Cummings was drafted into the U.S. Army and spent some six months at a training camp in Massachusetts. Upon leaving the army in January of 1919, Cummings resumed his affair with Elaine Thayer, the wife of his friend Schofield Thayer. Thayer knew and approved of the relationship. In December of 1919 Elaine gave birth to Cummings’ daughter, Nancy, and Thayer gave the child his name. Cummings was not to marry Elaine until 1924, after she and Thayer divorced. He adopted Nancy at this time; she was not to know that Cummings was her real father until 1948. This first marriage did not last long. Two months after their wedding, Elaine left for Europe to settle her late sister’s estate. She met another man during the Atlantic crossing and fell in love with him. She divorced Cummings in 1925. In 1931 Cummings traveled to the Soviet Union. Like many other writers and artists of the time, he was hopeful that the communist revolution had created a better society. After a short time in the country, however, it became clear to Cummings that the Soviet Union was a dictatorship in which the individual was severely regimented by the state. His diary of the visit, in which he bitterly attacked the Soviet regime for its dehumanizing policies, was published in 1933 as Eimi, the Greek word for “I am.” In it, he described the Soviet Union as an “uncircus of noncreatures.” Lenin’s tomb, in which the late dictator’s preserved body is on display, especially revolted Cummings and inspired him to create the most impassioned writing in the book. “The style which Cummings began in poetry,” Bishop wrote, “reaches its most complete development in the prose of Eimi. Indeed, one might almost say that, without knowing it, Cummings had been acquiring a certain skill over the years, in order that, when occasion arose, he might set down in words the full horror of Lenin’s tomb.” In tracing the course of his thirty-five day trip through the Soviet Union, Cummings made frequent allusion to Dante’s Inferno and its story of a descent into Hell, equating the two journeys. It is only after crossing back into Europe at book’s end that “it is once more possible for [Cummings] to assume the full responsibility of being a man…,” Bishop wrote. “Now he knows there is but one freedom…, the freedom of the will, responsive and responsible, and that from it all other freedoms take their course.” Kidder called Eimi “a report of the grim inhumanities of the Soviet system, of repression, apathy, priggishness, kitsch, and enervating suspicion.” For some time after publication of Eimi, Kidder reported, Cummings had a difficult time getting his poetry published. The overwhelmingly left-wing publishers of the time refused to accept his work. Cummings had to resort to self-publishing several volumes of his work during the later 1930s. Poet, painter, novelist, and playwright. Charles Eliot Norton Professor of Poetry, Harvard University, 1952-53. One-man exhibitions at American British Art Centre, 1949, and Rochester Memorial Gallery, 1959. * (Contributor) Eight Harvard Poets, L. J. Gomme, 1917. * Tulips and Chimneys (also see below), T. Seltzer, 1923, enlarged edition, Golden Eagle Press, 1937. * Puella Mia, Golden Eagle Press, 1923. * XLI Poems, Dial, 1925. * & (also see below), privately printed, 1925. * is 5, Boni & Liveright, 1926, reprinted, Liveright, 1985. * Christmas Tree, American Book Bindery, 1928. * W(ViVa) , Liveright, 1931, reprinted, 1979. * (Contributor) Peter Neagoe, editor, Americans Abroad: An Anthology, Servire, 1932. * No Thanks, Golden Eagle Press, 1935, reprinted, Liveright, 1978. * 1/20, Roger Roughton, 1936. * Collected Poems, Harcourt, 1938. * 50 Poems, Duell, Sloan & Pearce, 1940. * 1 x 1, Holt, 1944, reprinted edited, afterword, by George James Firmage, Liveright (New York, NY), 2002. * XAIPE: Seventy-One Poems, Oxford University Press, 1950, reprinted, Liveright, 1979. * Poems, 1923-1954, Harcourt, 1954. * 95 Poems, Harcourt, 1958, reprinted edited by George James Firmage, Liveright (New York, NY), 2002. * 100 Selected Poems, Grove, 1958. * Selected Poems, 1923-1958, Faber, 1960. * 73 Poems, Harcourt, 1963. * A Selection of Poems, Harcourt, 1965. * Complete Poems, 1923-1962, two volumes, MacGibbon & Kee, 1968; revised edition published in one volume as Complete Poems, 1913-1962, Harcourt, 1972. * Poems, 1905-1962, edited by Firmage, Marchim Press, 1973. * Tulips & Chimneys: The Original 1922 Manuscript with the 35 Additional Poems from &, edited by Firmage, Liveright, 1976. * (Contributor) Nancy Cummings De Forzet, Charon’s Daughter: A Passion of Identity, Liveright, 1977. * Love Is Most Mad and Moonly, Addison-Wesley, 1978. * Complete Poems, 1910-1962, Granada, 1982. * Hist Whist and Other Poems for Children, edited by Firmage, Liveright, 1983. * Etcetera: The Unpublished Poems of E. E. Cummings, edited by Firmage and Richard S. Kennedy, Liveright, 1984. * In Just-Spring, Little, Brown, 1988. * Selected Poems, Liveright (New York, NY), 1994. * May I Feel Said He: Poem, paintings by Marc Chagall, Welcome Enterprises (New York, NY), 1995. * Another E. E. Cummings, selected, introduced by Richard Kostelanetz, John Rocco, assistant editor, Liveright (New York, NY), 1998. * 22 and 50 Poems, edited by George James Firmage, Liveright (New York, NY), 2001. * The Enormous Room, Boni & Liveright, 1922, revised edition, Liveright, 1978. * Him (three-act play; first produced in New York at the Provincetown Playhouse, April 18, 1928), Boni & Liveright, 1927, new edition, Liveright, 1970. * [No title] (collection of stories), Covici Friede, 1930. * CIOPW (artwork), Covici Friede, 1931. * Eimi (travel diary), Covici Friede, 1933, 4th edition, Grove, 1958. * (Translator) Louis Aragon, The Red Front, Contempo, 1933. * Tom (ballet based on Uncle Tom’s Cabin by Harriet Beecher Stowe), Arrow Editions, 1935. * Anthropos: The Future of Art, Golden Eagle Press, 1944, reprinted, Norwood, 1978. * Santa Claus: A Morality (play), Holt, 1946. * i: six nonlectures, Harvard University Press, 1953. * E. E. Cummings: A Miscellany, Argophile Press, 1958, revised edition edited by George Firmage, October Press, 1965. * (With Marion Morehouse) Adventures in Value, Harcourt, 1962. * Fairy Tales, Harcourt, 1965. * Three Plays and a Ballet, edited by Firmage, October House, 1967. * Selected Letters of E. E. Cummings, edited by F. W. Dupee and George Stade, Harcourt, 1969. * E. E. Cummings Reads His Collected Poetry, 1943-1958 (recording), Caedmon, 1977. * Little Tree (juvenile), Crown, 1987. * Ahearn, Barry, Pound/Cummings: The Correspondence of Ezra Pound and E. E. Cummings, University of Michigan Press (Ann Arbor), 1996. * Baum, S. V., editor, EETI: E. E. Cummings and the Critics, Michigan State University Press, 1962. * Berry, S. L., E. E. Cummings (juvenile biography), Creative Education (Mankato, MN), 1994. * Blackmur, Richard P., The Double Agent: Essays in Craft and Elucidation, Arrow Editions, 1935. * Contemporary Literary Criticism, Gale, Volume 1, 1973, Volume 3, 1975, Volume 8, 1978, Volume 12, 1980, Volume 15, 1980. * Cummings, E. E., The Enormous Room, Boni & Liveright, 1922, revised edition, Liveright, 1978. * Cummings, E. E., Is 5, Boni & Liveright, 1926, reprinted, Liveright, 1985. * Cummings, E. E., Eimi, Covici Friede, 1933, 4th edition, Grove, 1958. * Cummings, E. E., i: six nonlectures, Harvard University Press, 1953. * Cummings, E. E., Selected Letters of E. E. Cummings, edited by F. W. Dupee and George Stade, Harcourt, 1969. * Dekle, Bernard, Profiles of Modern American Authors, Tuttle, 1969. * Deutsch, Babette, Poetry in Our Time, Doubleday, 1963. * Dickey, James, Babel to Byzantium, Farrar, 1968. * Dictionary of Literary Biography, Gale, Volume 4: American Writers in Paris, 1920-1939, 1980, Volume 48: American Poets, 1880-1945, second series, 1986. * Dumas, Bethany K., E. E. Cummings: A Remembrance of Miracles, Barnes & Noble, 1974. * Fairley, Irene, E. E. Cummings & Ungrammar: A Study of Syntactic Deviance in His Poems, Windmill Press, 1975. * Firmage, George J., E. E. Cummings: A Bibliography, Wesleyan University Press, 1960. * Friedman, Norman, E. E. Cummings: The Art of His Poetry, Johns Hopkins University Press, 1960. * Friedman, Norman, E. E. Cummings: The Growth of a Writer, Southern Illinois University Press, 1964. * Friedman, Norman, E. E. Cummings: A Collection of Critical Essays, Prentice-Hall, 1972. * Friedman, Norman, (Re)valuing Cummings: Further Essays on the Poet, 1962-1993, University Press of Florida (Gainesville), 1996. * Heusser, Martin, I Am My Writing: The Poetry of E. E. Cummings, Stauffenburg, 1997. * Hoffman, Frederick J., The Twenties: American Writing in the Postwar Decade, revised edition, Collier, 1962. * Hyman, Stanley Edgar, Standards: A Chronicle of Books for Our Time, Horizon, 1966. * Jarrell, Randall, The Third Book of Criticism, Farrar, 1969. * Kennedy, Richard S., Dreams in the Mirror: A Biography of E. E. Cummings, Liveright, 1980. * Kennedy, Richard S., E. E. Cummings Revisited, Twayne (New York City), 1994. * Kidder, Rushworth M., E. E. Cummings: An Introduction to the Poetry, Columbia University Press, 1979. * Marks, Barry, E. E. Cummings, Twayne, 1963. * Mazzaro, Jerome, editor, Modern American Poetry: Essays in Criticism, McKay, 1970. * Norman, Charles, E. E. Cummings: The Magic-Maker, revised edition, Duell, Sloan & Pearce, 1964. * Rosenthal, M. L., The Modern Poets: A Critical Introduction, Oxford University Press, 1960. * Rotella, Guy L., E. E. Cummings: A Reference Guide, G. K. Hall, 1979. * Southworth, James G., Some Modern American Poets, Basil Blackwell, 1950. * Triem, Eve, E. E. Cummings, University of Minnesota Press, 1969. * Waggoner, Hyatt H., American Poets from the Puritans to the Present, Houghton, 1968. * Webster, Michael, Reading Visual Poetry after Futurism: Marinetti, Apollinaire, Schwitters, Cummings, P. Lang (New York City), 1995. * Wegner, Robert E., The Poetry and Prose of E. E. Cummings, Harcourt, 1965. * Whicher, Stephen E. and Lars Ahnebrink, editors, Twelve American Poets, Almquist & Wiksell, 1959. * Bucknell Review, May, 1955. * Contemporary Literature, autumn, 1976. * Georgia Review, summer, 1978. * Journal of Modern Literature (special Cummings issue), April, 1979. * Nation, July 8, 1925, May 11, 1974. * New York Times Book Review, July 22, 1973. * Poetry, August, 1933, August, 1938. * Southern Review, summer, 1938, summer, 1941. * Twentieth Century Literature, July, 1965. * Wake, spring, 1976 (special Cummings issue). * Yale Review, spring, 1973. * New York Times, September 4, 1962. The American poet E. E. Cummings wrote verse that presented romantic attitudes in an experimental style. Cummings’s poems are not only ideas but crafted physical objects that show a fresh way of looking at reality. Edward Estlin Cummings was born to a well-known family in Cambridge, Massachusetts, on October 14, 1894. His father, Edward, was a professor at Harvard University and later the nationally known minister of Old South Church in Boston, Massachusetts. His mother, Rebecca, who loved to spend time with her children, played games with Cummings and his sister, Elizabeth. It was Cummings’s mother who introduced him to the joys of writing. Cummings wrote poems and also drew as a child, and he often played outdoors with the many other children who lived in his neighborhood. He also grew up in the company of such family friends as the philosophers William James (1842–1910) and Josiah Royce (1855–1916). He graduated from Harvard University in 1915 and then received an advanced degree from Harvard in 1916. Cummings’s romantic transcendentalism (which stressed the individual human being and his or her emotional experiences, the worship of nature, and the “spiritual”—or nonmaterial—basis of reality) resulted in the early rejection of his work, for it was not popular at the time. For several decades he had to pay for the publication of his work, and reviewers revealed very little understanding of his aims. His first volume of poems, Tulips and Chimneys (1923), was followed by a second volume two years later. Though Cummings received the Dial Award for poetry in 1925, he continued to have difficulty in finding a publisher. In the ten years following 1925 only two volumes of Cummings’s poems were published, both at his own expense: is 5 (1926) and W ( ViVa; 1931). In that decade Cummings also arranged for the publication of an experimental play, Him (1927), and a diarylike account of a trip to the Soviet Union, Eimi (1933). With his characteristic harsh wit, Cummings named the fourteen publishers who had rejected the manuscript of No Thanks (1935) in the book itself and said “Thanks” to his mother, who had paid for its publication. 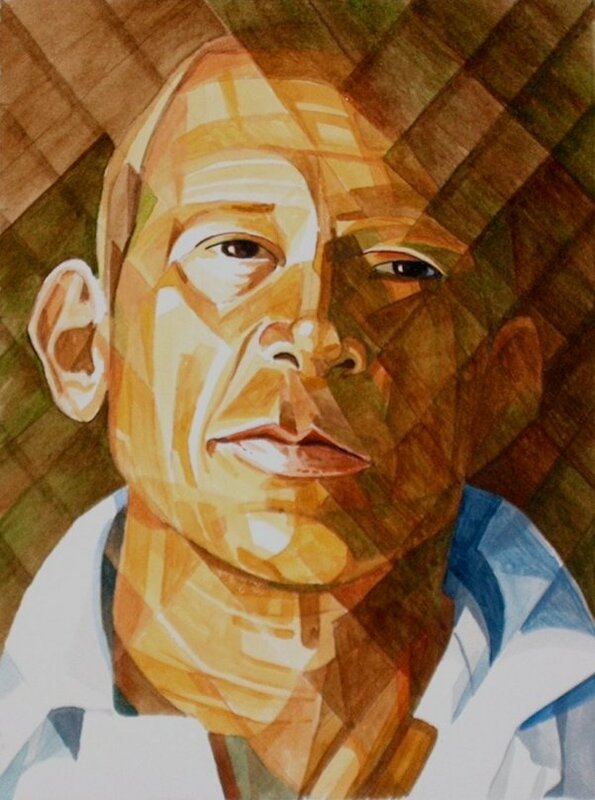 Despite his dedication to growth and movement, and in contrast to his reputation as an experimenter in verse forms, Cummings actually tended to lack fresh invention. Especially in the 1930s, when he felt separated from his culture and his fellow poets, he repeated himself endlessly, writing many versions of essentially the same poem. 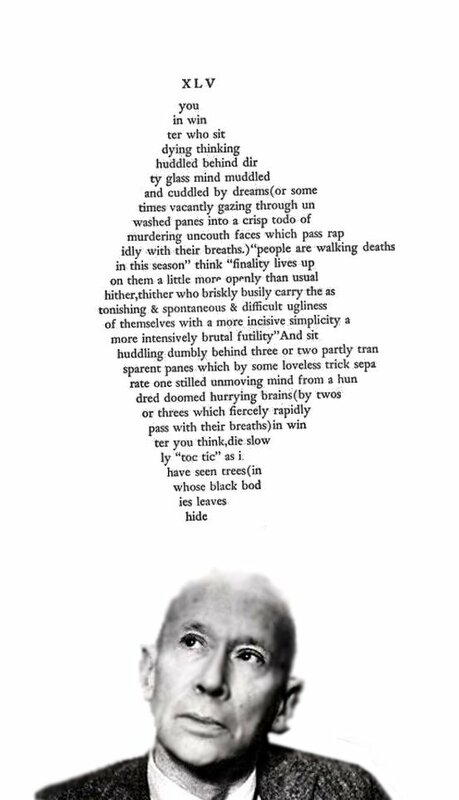 Many of Cummings’s devices, such as the visual “shaping” of poems, often seem like substitutes for original inspiration. However, Cummings’s most characteristic devices—the unique, personal grammar and the breaking up and putting back together of words into different forms—were more than just another trick when they operated within the context of a poem’s meaning. 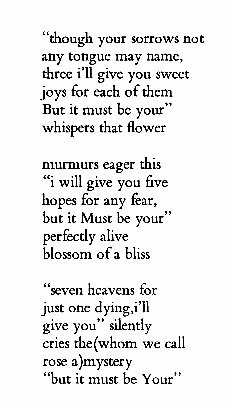 The love poems and religious poems represent Cummings’s greatest achievements. For example, “somewhere i have never travelled, gladly beyond” is one of the finest love poems in the English language, and Cummings’s poem on the death of his beloved father, “my father moved through dooms of love,” is a profoundly moving tribute. Cummings wrote some of the finest celebrations of sexual love and the religious experience of awe produced in the twentieth century, precisely at a time when it was not at all popular to write such poems. After 1945 a new generation of poets in rebellion against the poets of the previous generation began to find in Cummings an echo of their own ideas about poetry, and Cummings began to receive the recognition that had escaped him for so long. In 1950 the Academy of American Poets awarded Cummings, a self-described “failure,” a fellowship for “great achievement,” and his collection Poems, 1923–1954 (1954) won praise from people who had earlier tended to criticize Cummings for his romanticism. Harvard University honored its distinguished graduate by asking Cummings to deliver the Charles Eliot Norton Lectures in 1952–1953, his only attempt at formal artistic autobiography (a person’s own telling of his or her life story). It was later published as i: six nonlectures (1953). In the lectures Cummings said that perhaps fifteen poems were faithful expressions of his thoughts as an artist and human. The total number of truly memorable short poems is certainly higher than this small figure, but is still only a fraction of the nearly one thousand poems published in his lifetime. Cummings did not “develop” as a poet either in terms of ideas or of characteristic style. However, between the publication of his first volume and his final, called 73 Poems (1963), his work does show a deepening awareness and mastery of his special gift as poet of the mysteries of “death and forever with each breathing.” His finest single volume is often said to be 95 Poems (1958). Cummings’s Collected Poems was published in 1960. Original Manuscript page from Jack Kerouac ” ON THE ROAD”. Robert Lee Frost was an American poet. He is highly regarded for his realistic depictions of rural life and his command of American colloquial speech. His work frequently employed settings from rural life in New England in the early twentieth century, using them to examine complex social and philosophical themes. 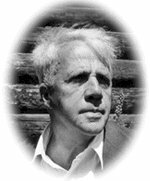 A popular and often-quoted poet, Frost was honored frequently during his lifetime, receiving four Pulitzer Prizes for Poetry.Early yearsRobert Frost was born in San Francisco, California, to journalist William Prescott Frost, Jr., and Isabelle Moodie. His mother was of Scottish descent, and his father descended from Nicholas Frost of Tiverton, Devon, England, who had sailed to New Hampshire in 1634 on the Wolfrana.Frost’s father was a teacher and later an editor of the San Francisco Evening Bulletin (which afterwards merged into the San Francisco Examiner), and an unsuccessful candidate for city tax collector. After his father’s death in May 5, 1885, in due time the family moved across the country to Lawrence, Massachusetts under the patronage of (Robert’s grandfather) William Frost, Sr., who was an overseer at a New England mill. Frost graduated from Lawrence High School in 1892. Frost’s mother joined the Swedenborgian church and had him baptized in it, but he left it as an adult.Despite his later association with rural life, Frost grew up in the city, and published his first poem in his high school’s magazine. He attended Dartmouth College long enough to be accepted into the Theta Delta Chi fraternity. Frost returned home to teach and to work at various jobs including delivering newspapers and factory labor. He did not enjoy these jobs at all, feeling his true calling as a poet. In 1894 he sold his first poem, “My Butterfly: An Elegy” (published in the November 8, 1894 edition of the New York Independent) for fifteen dollars. Proud of this accomplishment he proposed marriage to Elinor Miriam White, but she demurred, wanting to finish college (at St. Lawrence University) before they married. Frost then went on an excursion to the Great Dismal Swamp in Virginia, and asked Elinor again upon his return. Having graduated she agreed, and they were married at Harvard University, where he attended liberal arts studies for two years. In 1912 Frost sailed with his family to Great Britain, living first in Glasgow before settling in Beaconsfield outside London. His first book of poetry, A Boy’s Will, was published the next year. In England he made some important acquaintances, including Edward Thomas (a member of the group known as the Dymock Poets), T.E. Hulme, and Ezra Pound. Pound would become the first American to write a (favorable) review of Frost’s work. Surrounded by his peers, Frost wrote some of his best work while in England. As World War I began, Frost returned to America in 1915. 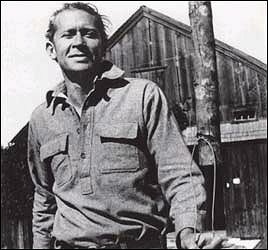 He bought a farm in Franconia, New Hampshire, where he launched a career of writing, teaching, and lecturing. This family homestead served as the Frosts’ summer home until 1938, and is maintained today as ‘The Frost Place’, a museum and poetry conference site at Franconia. During the years 1916–20, 1923–24, and 1927–1938, Frost taught English at Amherst College, Massachusetts, notably encouraging his students to account for the sounds of the human voice in their writing. For forty-two years, from 1921 to 1963, Frost spent almost every summer and fall teaching at the Bread Loaf School of English of Middlebury College, at the mountain campus at Ripton, Vermont. He is credited as a major influence upon the development of the school and its writing programs; the Bread Loaf Writers’ Conference gained renown during Frost’s tenure there. The college now owns and maintains his former Ripton farmstead as a national historic site near the Bread Loaf campus. In 1921 Frost accepted a fellowship teaching post at the University of Michigan, Ann Arbor, where he resided until 1927; while there he was awarded a lifetime appointment at the University as a Fellow in Letters. The Robert Frost Ann Arbor home is now situated at The Henry Ford Museum in Dearborn, Michigan. Frost returned to Amherst in 1927. In 1940 he bought a 5-acre (2.0 ha) plot in South Miami, Florida, naming it Pencil Pines; he spent his winters there for the rest of his life. Harvard’s 1965 alumni directory indicates Frost received an honorary degree there. He also received honorary degrees from Bates College and from Oxford and Cambridge universities; and he was the first person to receive two honorary degrees from Dartmouth College. During his lifetime the Robert Frost Middle School in Fairfax, Virginia, and the main library of Amherst College were named after him. Frost’s poems are critiqued in the “Anthology of Modern American Poetry”, Oxford University Press, where it is mentioned that behind a sometimes charmingly familiar and rural façade, Frost’s poetry frequently presents pessimistic and menacing undertones which often are not recognized nor analyzed.